I love love love blogging, but sometimes I just I don't want to post something that is beauty/fashion related and post about normal things - LIFE! It just gives me a chance to use this blog as diary, I have tried in the past to post things like this and then deleted the posts as I didn't like it! But I have now come to the conclusion that every so often I will just take a breather and write this like my journal. Not only does this give me and this blog something different; but you guys get to know me a little bit more. 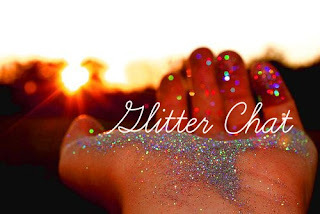 This instalment on my blog will be called 'Glitter Chat' to coincide with the name of my blog and because I am chatting with you! It may be a regular thing, or just once in a while - nevertheless I hope you all enjoy and leave me some comments as I love talking to all of you sat reading this. I even created a little logo/picture to match the idea! So, What's been going on in Parie's world then I hear you ask? Well, I have just started sixth form at a brand new school and I am really really enjoying it. The work load is totally different to what I am used to, but I guess I can manage as long as I keep my self organised and prepared all the time - that is the key. Apart from that; nothing really big and exciting has been happening! 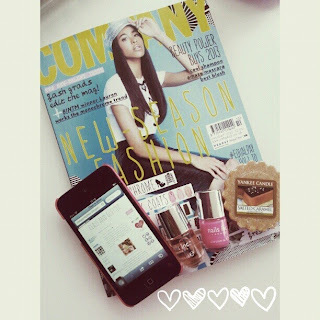 Currently, I am reading and blogging (multi-tasking I know!) the new Company magazine with Lauren the current Britain and Ireland Next Top Model Winner. I am so glad she won, not only was the final a tough one but the top three were all amazing girls; they all deserve success in life and I hope to see them all in my magazines one day! I love Company in general however only usually buy it when there is someone I really want to read about featured in the magazine. There are some amazing pieces in this months issue, so if you want a good read I suggest buying! Also posted this on instagram which is something I will always love! Also burning my recently purchased yankee candle tart in 'salted caramel' which just smells divine. I can't even describe to you just how perfect this smells, I start off with tarts then if I like the smell work my way up to a jar! It smells like sweet burnt sugar and salt mixed with caramel - I also smell a tiny bit of vanilla. The scent will linger too, you can smell it around the house!! After posting this, I will be painting my nails with that beautiful, bright pink colour; bright and beautiful! A habit that has now become an addiction is Pinterest! The site is just so pretty, weird and wonderful, you can find out so many things on there and find inspiration for things that even our good friend GOOGLE can't tell us! I highly recommend signing up for an account, here is a warning you can and will get addicted and it will affect your wishlist in life. I have recently loved finding different motivational quotes on there; like this one down below that is the cutest thing ever! As girls we like to make first impressions, hence what this quote is about! Whoever you meet, wherever you go everyone will remember you for sure if you give them something to remember you buy - whether is be your personality,humour or even a skill. 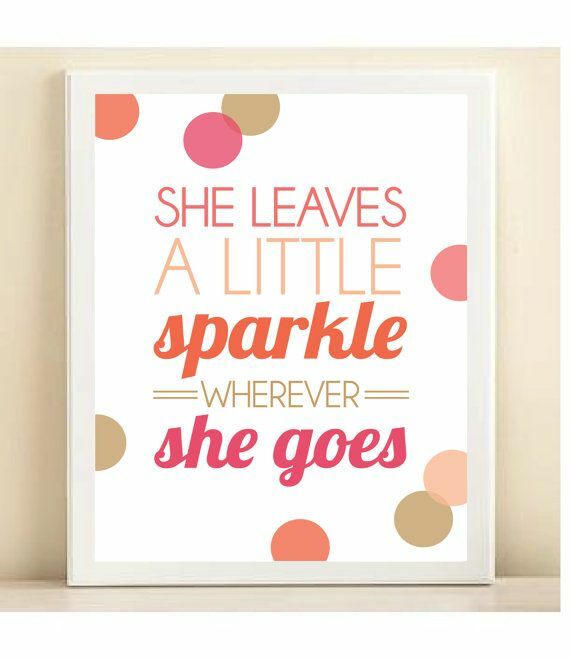 We all leave sparkle behind us like a trail of mystery I suppose! Be sure to follow me here, and leave me your links below! Hope you all enjoy this, and fingers crossed I can make this a ongoing thing!